When action is expected, "What gets measured gets done". Display progress against your goals on these boards, post milestones along the way, and then watch how the numbers motivate action to improve the way your team works. 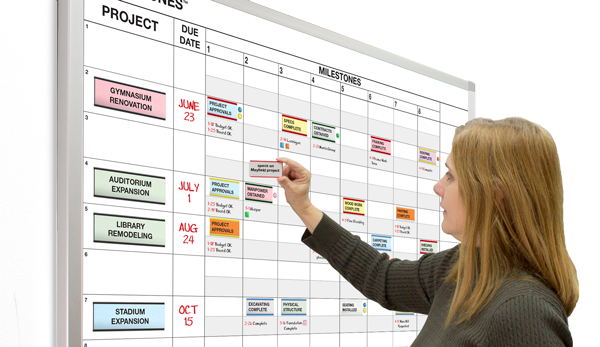 These magnetic whiteboards are as flexible as your imagination and include all the magnets and charting materials needed to operate them.